Talented Canadian singer-songwriter Alanis Morissette enjoyed a hit song a few years ago listing a number of things she found ironic. Actually, the things about which she sang were not ironic at all but merely unfortunate or at best coincidences. Coincidences are fun. Sometimes they matter. Let’s consider one that resonates today. The Coincidence of March 16, 1968. The Americanized portion of the Vietnam War had been grinding on for nearly four years. Despite President Johnson’s repeated assurances, there was no end in sight. The people trying to carry on with their lives in tiny, rural villages were regularly terrorized by men fighting for one or the other of the war’s many sides. The horrors felt by the men doing the terrorizing were overwhelming. By the spring of 1968 it was clear to everyone but the willfully blind that the war would have victims but no victors. One afternoon a group of Americans walked into two small hamlets and went insane. They ceased to be soldiers. They ceased to be human. They murdered between 350 and 500 unarmed men, women, and children. It took a long time. Many were shot and some were hacked the death; many were tortured. Children watched their mothers being gang-raped. A few soldiers laughed as one of their comrades took three shots to kill a baby who was lying on the ground. It became known as the Mỹ Lai Massacre. 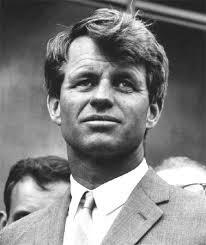 On that same day, Robert F. Kennedy announced his candidacy for the presidency of the United States. Everyone knew him because he had been his brother’s attorney general and in many ways the co-president. While John Kennedy was a realist disguised as a dreamer, Robert was a true romantic with a realist’s understanding of how to get things done. After the assassination in Dallas, he became a New York senator. He led a number of initiatives including the reconstruction of Brooklyn’s tough Bedford-Stuyvesant neighbourhood through partnerships with three levels of government, banks, corporations, and community organizers. He got things done. As he campaigned he spoke to Black audiences about taking more responsibility for their families. He spoke to university students about the unfairness of their draft deferments. He spoke to business leaders about being responsible to more than just their bottom lines. He made people mad. He made people think. On the same day that some men were visiting unspeakable horror on people they did not know, another man was pledging himself to help people he would never meet. It was not ironic. It was a coincidence. It is a coincidence that matters because it enabled Americans then and us today to consider the dark side that lurks within us all and right alongside it our yearning to do better; to be better, to do good. The March 16, 1968 coincidence challenges us to ask whether we can accept horrors that make us cringe without losing faith. Can we remain idealistic without being naïve? Can we remain realistic without being cynical? Today we are inundated by images of hatred and despair and there are plenty that match Mỹ Lai’s power. Can we reject those who use the images to sell themselves and their divisive views and instead remain convinced that our public discourse is a place for respect, for alternate opinions, the telling of hard truths, calm determination, and for hope and even for love? If you enjoyed this column please send it along to others. There are buttons below to help. I also always appreciate comments. Cheers!